After months of preparation, we are delighted to announce that the Project Ommi Kickstarter campaign was a success! Spanning a month, the project raised over £25,000 | $32,000 in pledges from fans which will go towards the on-set special effects for this new sci-fi feature film. 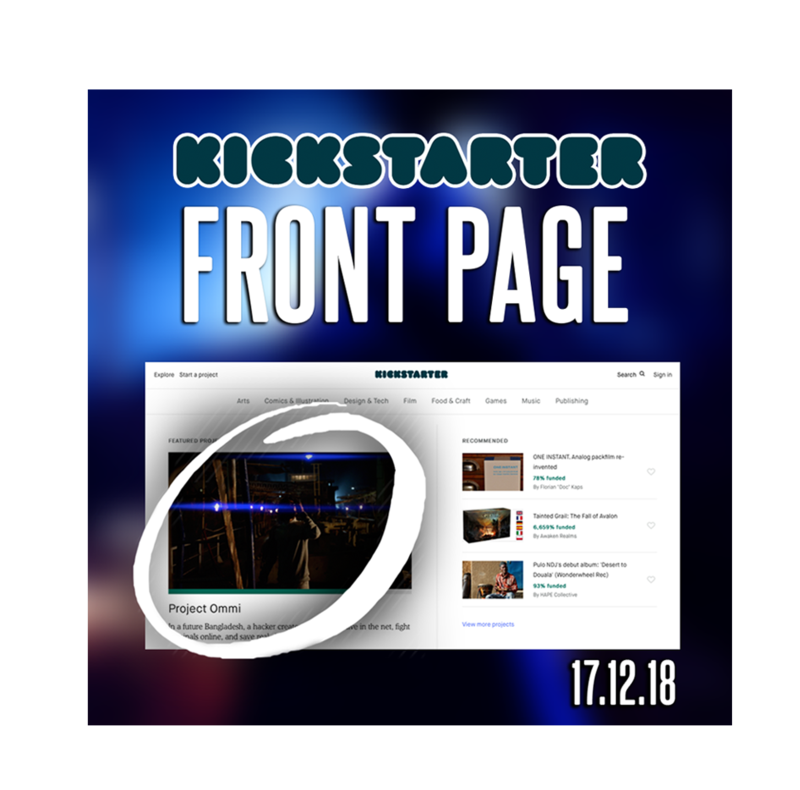 Here, we explore how the process became a reality, not only reaching an entire new fanbase, but becoming globally recognised by Kickstarter and given a highly prized featured project position on this crowd-funding platforms’ front page. The campaign took significant planning to create an engaging strategy. We wanted to make sure the best possible perks were made available to our audience. 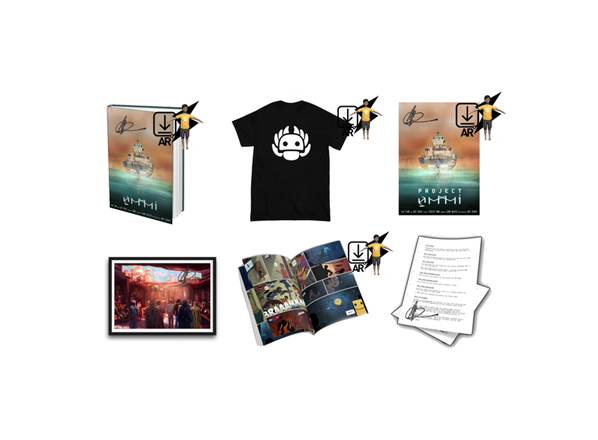 The team created over 20 unique products and experiences – ranging from an augmented reality app, a custom graphic novel, featured artwork and even the chance to be in the film. We wanted to create high quality, original merchandise for our new and existing supporters. Excitement grew within the production team as we anticipated the public’s reaction. From the outset the campaign received an influx of traction and following. Audiences all around the globe, from Sweden to Singapore, pledged to support Project Ommi. The team were overwhelmed by the messages of encouragement and support. It was clear that the themes, messages and visual style were connecting with sci-fi audiences. Project Ommi is delighted with feedback from fans worldwide. Our Kickstarter is 70% FUNDED and ENDS IN 3 DAYS! Project Ommi was selected by Kickstarter as their number one featured project, resulting in the film being featured on the global front page. The team were truly honoured to be featured by the most popular and well known crowdfunding platform. Click HERE to visit the Kickstarter page to explore the project further. Principal photography commences in early 2019. Sets are being built, costumes are being sown and plans are now in motion to see the writer/director’s vision come to life. The entire Project Ommi team want to say a HUGE thank you for your continued support. For the latest updates – join us by visiting @ProjectOmmi on all social media platforms.